Considering Skin Whitening Pills? Know the Side Effects First! Are you looking to lighten your skin tone? Or, do you want your age spots, pigmentation and freckles to lighten and disappear? Is your dark skin a cause for low self esteem? Do you feel less beautiful because of darker skin? Beauty lies in the eyes of the beholder! While some find fair skin beautiful; others find dark skin attractive and appealing. The skin whitening industry is a huge market of products like skin whitening creams, moisturizers, cleansers and pills, and treatments like skin whitening chemical peels. Why Are People Turning to Skin Whitening Pills? As it is with any medical condition or beauty dilemma, everybody wants faster results. This is mainly the reason why people flock to products which promise faster results. For example, skin whitening creams are being replaced by skin whitening pills because the latter promises to deliver results faster. So, would you push the boundaries, even if it had negative impact and opt for a product that gives you faster results to lighten your skin tone? Read on to know the dangers of popping those skin whitening pills! Certain studies conducted on skin whitening pills have revealed the lesser known dangers which come about with their use. Any skin whitening product (creams or pills) contains the ingredient hydroquinone which is listed as a possible carcinogenic. The use of hydroquinone is also banned in certain countries. Would you risk your health by exposing yourself to a carcinogenic for a fairer complexion? The ingredients in skin whitening pills interfere with the production of melanin in the body. Certain ingredients also interfere with the body’s hormonal levels and cause an increase or decrease of certain elements in the body. This disrupts the normal functioning of the body, the results of which can be fatal. The ingredients used in certain skin whitening pills are known to cause physical stress and ailments. Symptoms such as headaches, nausea, indigestion, vomiting and insomnia or drowsiness stem from the prolonged use of skin whitening pills. Skin rashes and the swelling of certain body parts are among the common allergic reactions that occur with the consumption of skin whitening pills. 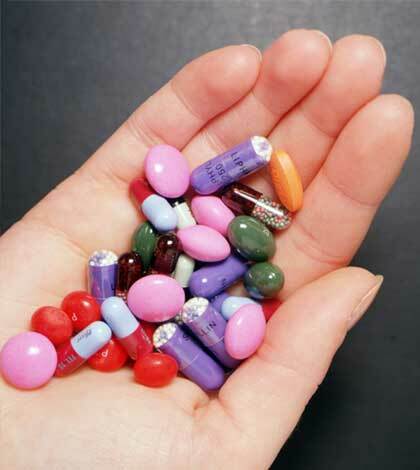 Pill popping always has side effects, no matter what you’re consuming pills for. You must have heard of cases of liver cancer from excessive pill popping. Therefore, if there is a less harmful way out of any dilemma besides pill popping, it’s safer to opt for it. When using skin whitening products, it is essential to remember that every product has its limitations, whether you’re popping pills or applying creams. Expecting drastic changes is not reasonable and you have a better chance at learning to be happy with what you have.